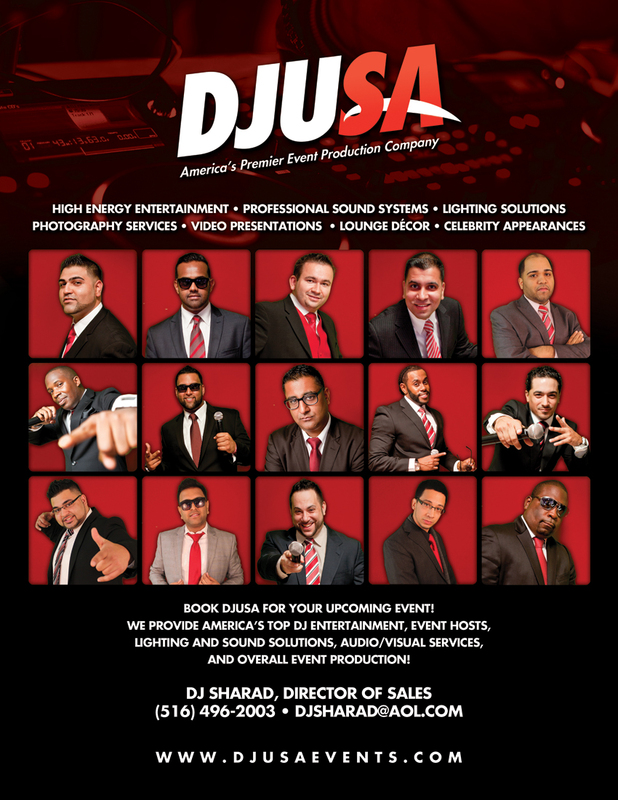 DJUSA - May 2014 Newsletter featuring Ultimate Sneaker Expo 2014, DJ Sharad and DP One in Jodhpur, Sweet 16s and More! ULTIMATE SNEAKER EXPO 2014 IS A HUGE SUCCESS! Over 2,500 people were in attendance to experience Long Island's largest sneaker and lifestyle apparel show. People of all ages lined up at the front of Ultimate 575 in Sysosset, Long Island to make sure they got first dibs on the products on sale by retailers, resellers, and up & coming fashion brands. DJUSA and its affiliate company, SM EVENT Group were onsite the entire day managing the event, working with the vendors and retailers, and ensuring event production was on point. The show featured a mega light show, amazing AV production, a knockin' sound system and sneaker battles hosted by sneaker industry heavyweights DJ CLARK KENT, MAYOR, and SURAJ from SNEAKER ROOM. NY's Top DJs representing some of the biggest DJ crews killed it on the music side - DJ Fatfingaz, DP One, Bobby Trends, Ted Smooth, DJ Amazin, DJ Juanyto, DJ Trase, DJ Kan.i, and DJUSA's very own DJ Juicy & Ash G. played the hottest tracks and mixed on the turntables throughout the day. DJUSA’s MC Marco G and MC Gino aka Overdose were on the mic to hype the crowd. 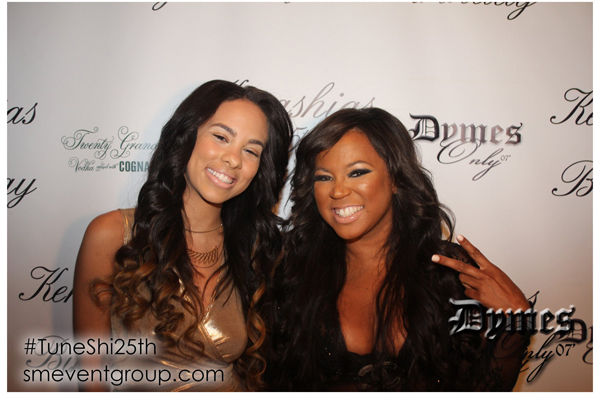 Notables in attendance included Hot 97's Funk Master Flex,Joell Ortiz, Chinx, Slow from Slowbucks, and Darrell Revis. To top it all, raffles & giveaways by retailers including Hypefeet & Avenue Sound were incredible. Our promotional partners BX Sports and Exit 36 each gave away a free pair of the highly sought after Air Jordan Concord Lows through our #USELI2014 Instagram promotion. We would like to thank LI Newsday, Hot 97, Def Jam, Divide Watches, Complex, and Sole Collector for their generous sponsorships and contributions to make USELI2014 a huge success. Additionally we would like to thank The Max Cure Foundation and Dunk Your Kicks for partnering with us on Ultimate Sneaker Expo 2014. You can check out the VIP photos here, and additional event photos here! Visit UltimateSneakerExpo.com for event photos! 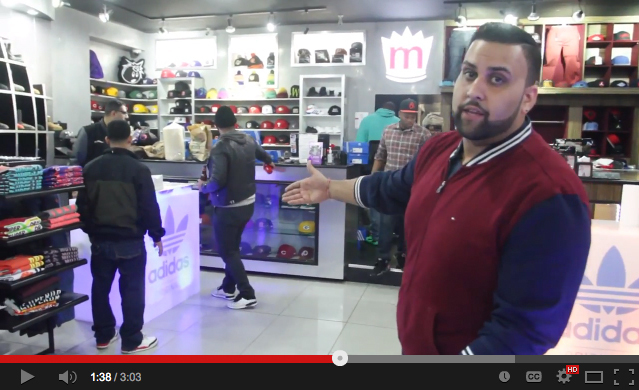 I had a blast producing and hosting the Adidas event at Moe’s Sneaker Spot in Queens on January 9. As a teenager, Adidas has always been one of my favorite sneaker and apparel companies. From funky track jackets to unique kicks, collecting stuff from the Adidas brand was not only a hobby but also a passion. When we were approached by Juice from Adidas to produce the original Patrick Ewing sneaker release event at Moe’s Sneaker Spot, I immediately thought this is a dream come true. First of all, I am a die-hard NY Knicks fan and Adidas; well you already know how I feel about that brand. After going over logistics with my partner Sharad (of course with a big smile the whole time) we discussed getting some celebrity deejays involved as well. Hot 97’s Heavy Hitter’s were certainly in the building including EL PRESIDENTE DJ Enuff, and turntable guru’s DJ Fatfingaz and DJ DP ONE going off with the cuts! DJ Ted Smooth, G-Bo The Pro also came out to show some love too. This sneaker launch event was very unique. DJ Enuff called out MC’s to battle over various classic Hip Hop instrumentals. That was certainly a major highlight of the night with King Solomon, Grafh and other up and coming MC’s showcasing their skills. Now as if this event wasn’t already bananas with DJ’s and MC’s, I had the honor of meeting a legend in the hip hop scene in Pharahoe Monch! I was able to ask him about some of his influences in his career as well as show him what DJUSA EVENTS and SM EVENT GROUP is all about. He was impressed with the attention to detail and my passion for producing events. We strive for perfection with positive energy and smile, which goes a long way in an industry with so many moving parts. This video directed and edited by the talented Juganot provides more insight on products we offer and how we are able to create an environment full of energy. 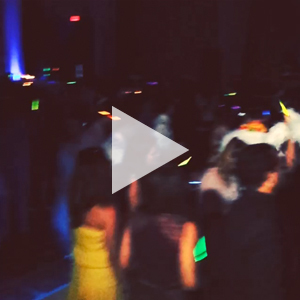 I hope you enjoy the video and contact us for your next event! Click here to watch the exclusive video! What’s hot this summer 2014? 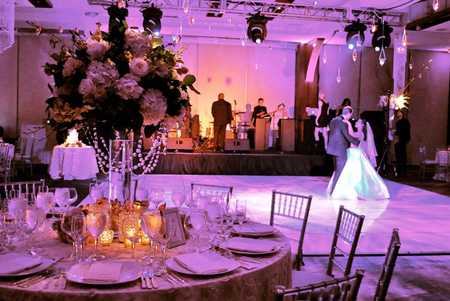 Turn your event from ordinary to extraordinary with lounge décor from DJUSA / SM Event Group. The summer is just a few weeks away and there are many items to make your event stand out. Our outdoor wicker furniture and leather tufted bars create an ambiance to turn any outdoor event into something very unique. Adding a white flush dance floor will not only look hot in your venue, but also absorb LED lighting to give your pictures a elegant touch! So check out our wicker furniture, white dance floor, along with many other new elements in our company brochure! Click here to browse our full services catalog! 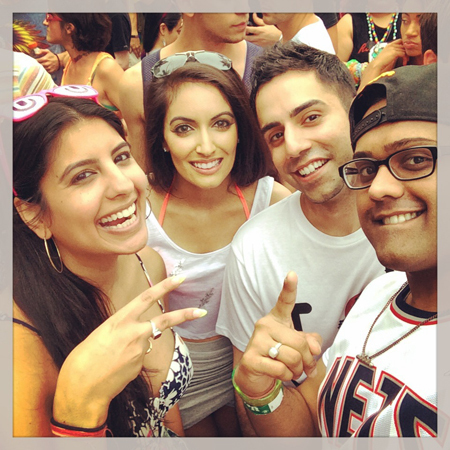 Good day party people: DJ SHARAD checking in! Our DJUSA / SM team had the honor and privilege of handling full event production for the Co-Founder & CEO of Dymes Only clothing company - Kenashia Douglas' 25th birthday celebration. This elaborate affair was held on April 3rd at Manhattan's ultra swanky event space The Glass Houses. 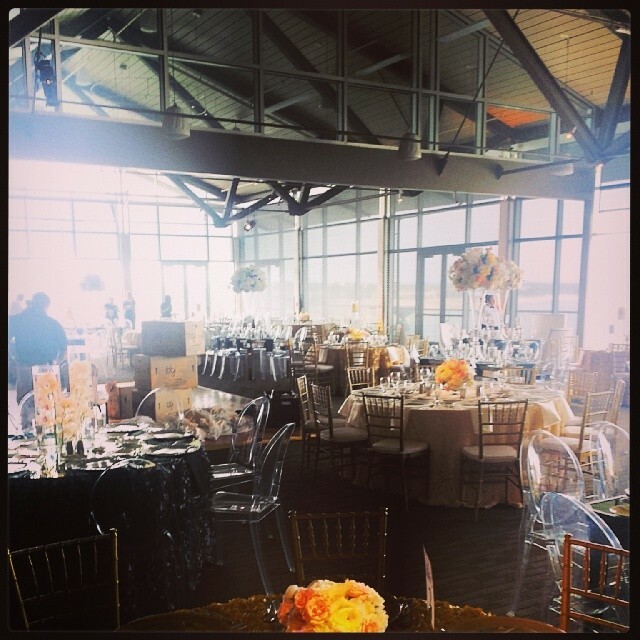 DJUSA / SM Event Group built a nightclub in this incredible loft space overlooking the Hudson River! Kenashia along with her family and closest friends celebrated in style with key products from our suite of services including our brand new and very popular Instagram photo booth with a custom step & repeat and red carpet, a cool mix of lit up rental furniture (bars, cocktail & coffee tables, and high boys), tufted single seater leather sectionals, and curved white leather benches all of which were built especially for The Glass Houses. 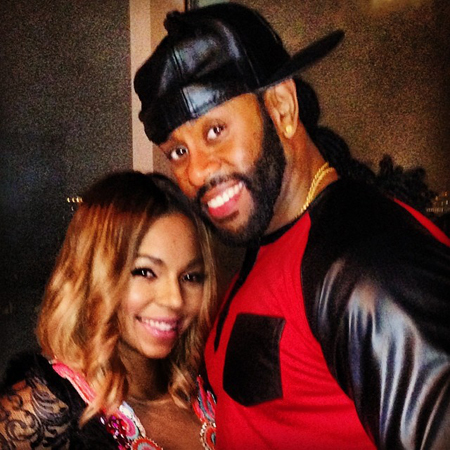 Notable guests in attendance for this lavish star studded affair included Super talented R&B singer Ashanti (who is also the older sister of Kenashia), Maino, Juelz Santana, Nyemiah Supreme, Chris Gotti, Slow & Bucks of Slowbucks and many more! Thank you to 20 Grand Vodka who sponsored the event with their Cognac infused Vodka, Evelyn's Kitchen from Uptown Manhattan for supplying the delicious food, and party rockers Smooth City (Ashanti's Tour DJ) and DJ Kidd (Official SlowBucks DJ) for supplying all the tunes! See you at the next event! 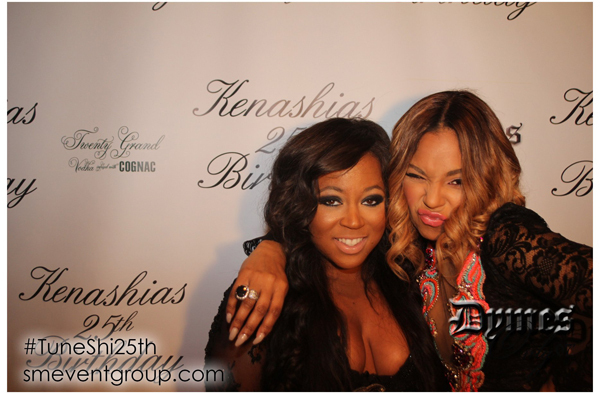 When asked about her birthday celebration, Kenashia said "We literally put the event together in less than 5 days and it could not have been done with any other company. The party was amazing! The energy and atmosphere were overwhelming." 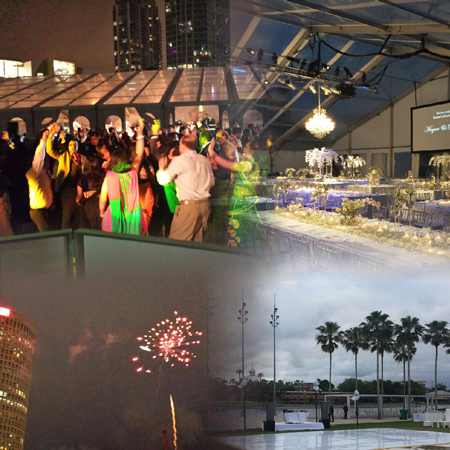 Check out the entire event gallery here and book DJUSA for your next event! Take a look at Tuneshi's Birthday album here! What’s up readers? It’s me and we have a lot to catch up on. 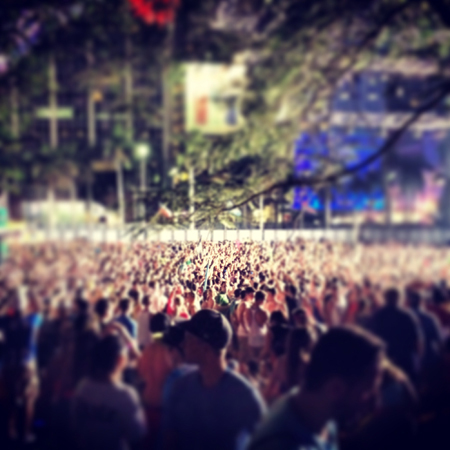 Not sure if you guys follow me on Instagram (@ashisg), but you can surely catch up on my day-to-day antics and my recent trip to Miami for the Ultra Music Festival. Let me start by saying this year’s Ultra Music Festival was out of this world, though last year holds a special place in my heart for Swedish House Mafia’s last worldwide performance. From my favorite sets to the down pour on Saturday night (which was magical) to meeting Tiesto a few weeks after his set at UMF, it has surely been a memorable few weeks. Though a lot of people think EDM is a fading scene and/or has been commercialized, it’s important to stay true to what you want. If you are a EDM fan then support it unconditionally; don’t just ride the bandwagon. I got into house music back from my past days at Club Exit residency with my big bro, DJ Sharad (Final Chapter, Shhh,.. Jonah Be Quiet, Sandstorm days…). This is still a scene I want to be a part of and watching some of my idols on stage is invigorating. Aside from my Bollywood mashups, you can check my DANCETRIP Series on my Sound Cloud at www.soundcloud.com/ashisg. Feel free to message me your requests for the next series. More on my celeb run-ins in the coming months right here on the official DJUSA Newsletter…so stay tuned!! Rock with you guys and gals soon! MARCO GLORIOUS Keeps it Moving! 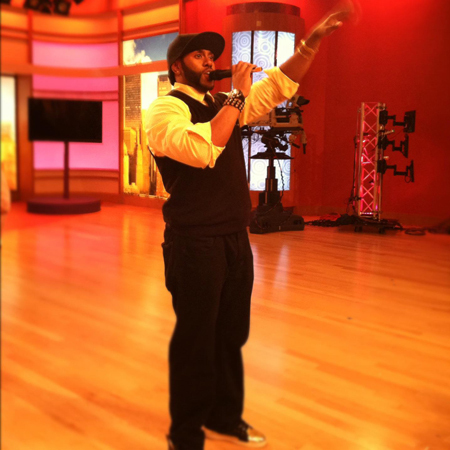 Hi I’m Marco Glorious better known as MC Marco - one of the premiere event hosts in the entertainment industry and The Audience Producer at The Wendy Williams show! 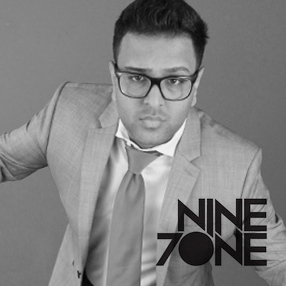 At DJUSA / SM Event Group, I am an international duo with owner DJ Sharad. When we tour the world for private events such as Thailand and most recently Mexico, guests recognize us as The International Smash Brothers (Marco G. & DJ Sharad). We were in full effect this past month taking our talents to Cabo San Lucas to perform for a spectacular wedding. It was sight to behold and the energy we created for the crowd kept guests dancing until the early hours of the morning. 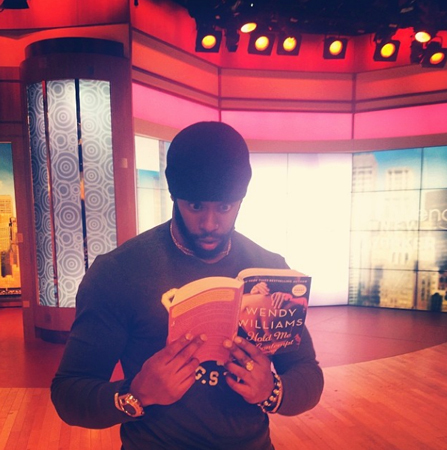 At The Wendy Williams show, I have changed the infrastructure and format behind the scenes to ensure that the Wendy audience is engaged and entertained before and throughout the show. I also make sure to speak to the audience members about Wendy's new projects and social media outlets. Stay tuned as Marco Glorious embarks on more notable projects in the upcoming weeks! 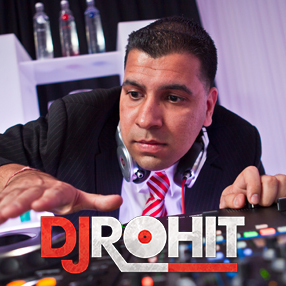 DJ AKSHAY ROCKS TEXAS and the Dominican REpublic back to back! I can certainly say that joining the DJ lineup at DJUSA / SM Event Group has kept me busy not only locally for private events, but giving me the opportunity to rock crowds around the world in the month of April alone, I travelled consecutive weekends for two wonderful wedding events for two amazing couples. The past two weekends have been absolutely wonderful. My first out of town event started in Austin, Texas where I was booked to DJ only the reception, which took place at the Lakeway Resort. The event was glamorous and full of energy on the dance floor all night created from the music I played and mixed for the guests. The groom was a guest at a wedding where I DJ'd last summer, and knew he wanted to book me to DJ his wedding. In Texas, I saw familiar faces and already familiar with the music vibe of his crowd so it felt really natural to be the one man show on stage spinning the best of Bollywood and Top 40 hits. Two days later after returning from Texas, I was back at the airport again heading to Punta Cana, Dominican Republic for a 3-day wedding celebration at the Melia Caribe Resort. This time I had my co-DJ and assistant, DJUSA’s DJ Avi with me. We kicked off the weekend with music for the welcome party, rocked the sangeet the next day until 4am, and ended the weekend with the ceremony and reception. The most interesting part of this trip was the bride’s side who were Indian from Brazil. I had to cater to a mix of music styles not limited to only Bollywood and Top 40 hits, but also Brazilian and Latin music. After this weekend of over 15 hours of dance partying, I can say that Brazilians and New Yorkers sure know how to party! 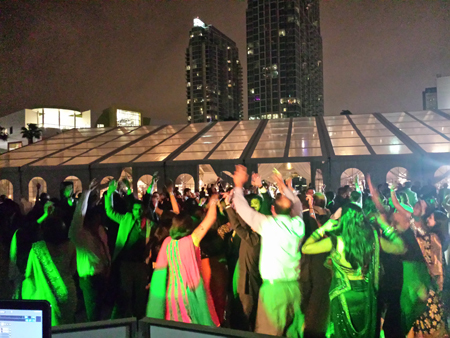 DJ ROHIT ROCKS Wedding in Tampa ! I love spinning out of state/country events because it gives me the opportunity to meet and entertain people from all over the world and my experience deejaying a two day wedding in Tampa FL was nothing short of amazing. The weekend started with the sangeet held inside Waterside Marriott where 1000 guests enjoyed special performances by the bride and groom's family members along with dance music by me and live musicians. The next day started early with a baraat and ceremony leading in the cocktail and reception. Cocktail and Reception was held in the Curtis Hixon Park. Cocktail hour ended with a beautiful fireworks show for the bride and groom and all their guests. All the guests had amazing energy throughout the entire event, but once the dance floor opened the energy levels went even higher. Dance floor was packed all night and I ended up playing about 7 different "last songs of the night" because the guests didn't want to stop dancing. When asked about their wedding, the bride and groom noted "Thank You DJ Rohit! 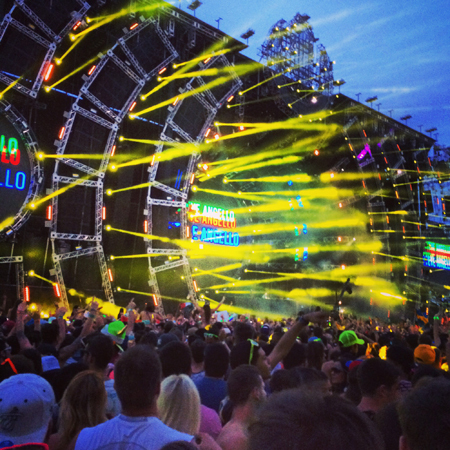 Music was amazing!" The bride's cousin told me "You did an awesome job throughout the weekend and reception dance floor was Rocking!" 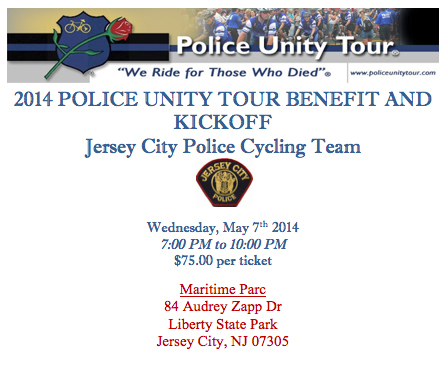 The primary purpose of the Police Unity Tour is to raise awareness of Law Enforcement Officers who have died in the line of duty and to honor their sacrifices. This year's benefit will be an inspiring cocktail reception by Executive Chef and Co-Owner of Maritime Parc, Christopher Siversen, music by DJUSA, & cigar rolling by Tony Santana. Enjoy the glow from the NYC skyline, a special presentation by the JCPD K-9 unit, Bomb Squad, Emergency Service Unit (ESU), and meet the officers who risk their lives every day for our safety. 50/50, raffles and more! 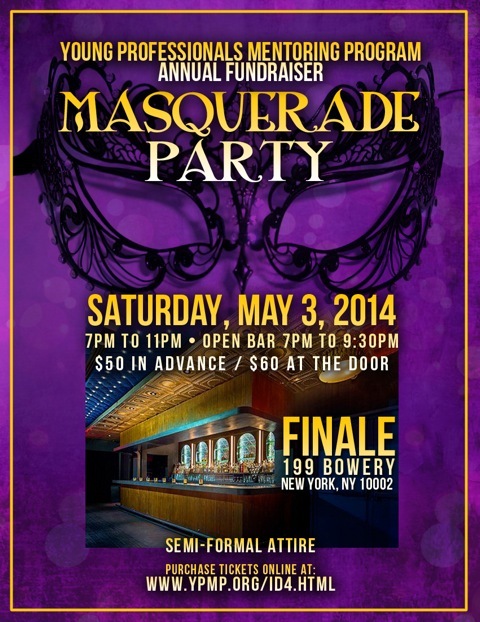 Young Professionals Mentoring Program (YPMP) will be hosting its 12th annual fundraiser this Saturday, May 3rd from 7pm to 11pm at Finale. The program has mentored and made a significant impact on the lives of hundreds of students over the past 12 years. Please come out and support the program and the kids! Imagine you were told you only had a 10% chance of living. Born 3 1/2 months early, weighing only 1 pound 9 ounces. 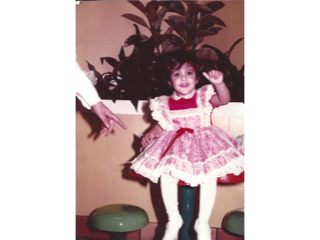 Priya was able to overcome these odds and was able to grow up healthy. Unfortunately, too many moms and families know the heartbreak of having a baby born too soon and fighting to survive. Through her work with the March of Dimes, they are working towards the mission of one day... all babies will be born healthy.